I know most everybody here loves to watch Japanese television. That's why I thought it would be interesting to interview somebody who was actually on Japanese TV. 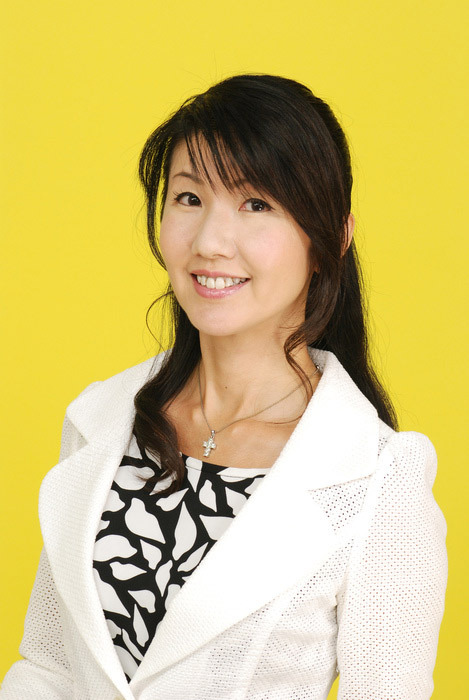 I was surprised when I heard back from Yomiuri TV's 25 year veteran announcer Naomi Uemura, who I've respected for a long time. 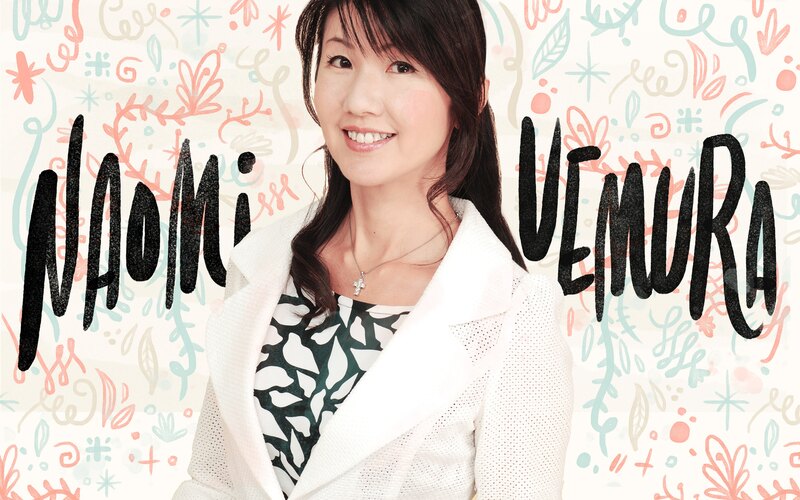 She is one of the most popular announcers in Japan, especially so in the Kansai area (Yomiuri TV is located in Osaka and serves the Kansai region). Honestly, I never thought this would work out the way it did, considering I watched her on TV all the time when I lived in Japan. However, she is an incredibly kind person and I was so pleased when she (and Yomiuri TV) politely accepted the offer and agreed to answer our questions. "But why an announcer?" you might be asking. First of all, she's someone I've been a fan of for many years, so this is a lot of fun for me. But, I also thought that someone who is an announcer could also help all of you who are learning Japanese. Part of their job is to speak beautiful Japanese, after all! We'll get to that part later in the interview. So, a very special thanks to Naomi Uemura and Yomiuri TV, once again. I'm sure all of you will like it because she shared her great experience and provided us with some great advice. Don't miss it! Let's take a look at her details first. This way you can get to know her a little bit before the interview starts! Note from Uemura-san: I believe that the meaning of the word "announcer" in English isn't exactly the same as in Japanese. In Japan, the word announcer refers to various roles, whereas in English there are specific terms used to denote the people working in those roles. For example, in English there are news anchors, broadcasters, reporters, talk show or game show hosts and narrators of documentaries. Everyone who does these kinds of jobs would be called "announcers" in Japanese. My work calls for me to take on all kinds of such roles. Q. Why did you want to become an announcer? What made me decide to become an announcer was a summer part time job that I had when I was in university. I was offered an MC position at a sporting event and I worked as a vendor in a sports drink tent where people threw a die and the number rolled indicated the number of free sports drinks we would give away. The event was held for about a week, but within a couple days some people from the neighborhood, from children to grandfathers to business men, became regulars of mine and came to my place every day. I hosted the dice show with a funny story and managed to create a great atmosphere. When I teased the audience, they quickly reacted with hearty laughter. It was very fun and interesting for me to see how the crowd swung from joyful laughs to empathetic sighs all because of what I said. Because of that, I thought I would seek a job in something that involved this type of talking. Q. What was the most difficult thing about becoming an announcer? Actually, I had almost no difficulty. When I was in my 4th year of university, I went to a job interview and just popped into Yomiuri TV. The difficult thing was…well, when it comes right down to it, the interview may have been the most difficult part because I was the only one chosen out of over 2000 applicants. At the time, going to job interviews was basically my hobby as I had interviews with more than 40 companies. Most of the companies had several rounds of interviews for applicants to go through until they were hired. There were even companies that had up to nine interview stages. My calender looked like it had been painted black due to all those interview appointments. In the Kansai area at the time, female comedians were very popular and because of that, jobs such as reporters and assistant hosts on television shows were often reserved for those female comedians. At that time, however, there were about 20 announcers on Yomiuri TV in 1989 and they were all men. Since they were all male, they were accustomed to changing their clothes in the announcer room without hesitation and, strangely enough, my new presence there did not change this. The pin microphone position in the news studio was standardly set to fit to the left lapel of a man's jacket, so I was scolded when I changed it to fit to mine, the right lapel of a woman's jacket. It was tough that there weren't any female announcer superiors to consult with, as well. As for the job, there weren't any positions for female announcers, as I mentioned above, and we had to obtain them from female comedians one by one. In order to do so, I worked hard and brushed up my announcing skills and expressiveness to appeal to the merits of using a female announcer. Now, out of the 20 announcers in the company, 10 of them are women. Those women undertake the announcing positions that are reserved solely for females. My first job involved creating something from nothing and doing it from the ground floor. Q. What are the differences between when you started announcing and today, in terms of being a female announcer? Q. What was your greatest / most memorable moment in announcing? Announcing is not a job that helps someone directly. It's a job that requires the delivery of information to a camera and then through the TV screen. So, it's rare to find yourself with an opportunity to help someone else. However, when the Great Hanshin earthquake occurred in 1995, I was actually in Ashiya, which was right in the center of the affected area that got a 7.2 magnitude earthquake. Fortunately I lived, so I reported what was actually happening in Kobe day to day through live news feeds and interviews with the perspective of the victims. One day, after finishing a live news feed as an on-scene reporter, a man approached me to tell me that his life was saved by me. A lot of questions burst into my mind like, "Why? What did I do? Where were you? What do you mean I saved your life?" I then asked the gentlemen why he thought so and he began his story. "I ran a photo shop in Kobe, but the photo studio, which was also my house, was completely demolished by the earthquake. Additionally, my wife passed away as a result of being trampled by a stampede of people. I lost not only my job, but also my family. After the earthquake, I got stomach cancer because of the stress. When I found out the only life I had left from the earthquake was disappearing, I began to wonder what I was living for. During that time, on the way to the hospital in Kobe, I got into an interview with you. You and I talked about the harsh times I had encountered and about how sad I was. I told you everything. You listened to my story with a full heart and burst into tears with me. Before that moment my sadness had nowhere to go and I had been struggling with the pain of my new life, but you accepted all my feelings and cried with me. Upon the realization of that, the burden on my heart went away. In that moment I was able to think that if I continued to live, something good might happen. I was actually contemplating suicide, but a ray of light plucked me out of the darkness and I knew I could hang in there." One day, by chance, we ran into each other in the effected area again, and told me that story and how "his life was saved by me". Hearing those words was the greatest and most memorable moment of my career. Q. What is the funniest thing that happened to you while working? In 2000, I bought an apartment for the first time in my life. At first, I took out a 35-year mortgage, but I would pay it back partly when I saved up some money. It is called kuriage-hensai 繰り上げ返済（くりあげへんさい） which means pre-payment in Japanese. It was very fascinating for me that the mortgage term was shortened by about 10 years after "kuriage-hensai", even though it wasn't a lot of money. Shortly afterwards, I was obsessed with it and repeated the 'kuriage-hensai' as soon as I saved up even more money. Saving money kind of became one of my pastimes. Q. What is the most difficult thing about being an announcer? [The most difficult thing] is the action of "conveying". I've worked hard for 25 years to properly convey the news to people, but the fact is it's still difficult to convey stories exactly as I want to. Sometimes, even though I think I conveyed things properly, it didn't come off to the audience the same way as I thought it should have. Things like the environment that someone grew up in or the books they have read, there are so many factors that contribute to making the mind of an individual different from the next. Even if I say the same thing, whether it was to someone who just lost their loved ones, or to someone whom just had just seen their baby come into the world, my words would be received differently and it's no wonder. Even for the expression "thank you", some people may feel that it sounded "pushy" or "sarcastic", whereas others may meekly consider it to be an expression of gratitude from the bottom of someone's heart. After all, to convey something exactly how you want is such a difficult thing, and perhaps that is the reason why this is a job that I will never lose interest in. Q. What is required to become an announcer like you? Please graduate from a university and come to an interview here at Yomiuri TV. Try to habitually take interest in various things and convey that interest to as many people as you can. Attempt to feel various emotions, understand them, and learn how great it is to convey your feelings to other people. I'm looking forward to seeing you all. Q. Do you think a foreigner could do that and become an announcer in Japan? If the person could speak Japanese properly and have a lot of knowledge and insight, then I'd say why not? Since Uemura-san is a professional at speaking, and since many of you would like to speak Japanese better, here are some questions that will help you with that! Q. Being able to speak clearly and nicely is important to learning a language. How did you train to improve your voice to speak such beautiful Japanese? I trained with abdominal breathing and pronunciation drills. I've been doing them since the beginning of my career. Q. Could you talk more about the abdominal breathing? In order to produce a beautiful voice, you have to inhale a lot of air into your lungs. To do so, you need to expand the space surrounded by your ribs. The only thing you could do for that is either to throw your shoulders back or to lower the diaphragm. However, if you strain your shoulders, it will strain your neck and your throat will constrict, so it won't help you find your beautiful voice. So, to create a beautiful voice, lowering your diaphragm is the only way. For that, you have to train your abdominal muscles and try to learn how to move your diaphragm up and down. That is abdominal breathing. You become able to do that type of breathing once you get strong abdominal muscles. Q. How about the pronunciation drills? In Japanese, there are basically only 5 mouth shapes, which are the shapes when you say vowels "あいうえお" and the unique consonant "ん". You can make 50 different sounds just by adding a consonant to the beginning of those 5 vowels. You can easily make consonants sounds with your tongue, but you have to properly shape your mouth when you pronounce vowels. Once you can make good shapes, your pronunciation will be proper and beautiful. So, pronunciation drills for proper mouth shape are very important. I still practice these at least once a day in the studio. Q. What's the difference between speaking Japanese and delivering what you think in Japanese"? To read scripts in a beautiful way, to speak, to communicate, and to deliver are all different. Even though you pronounce words perfectly, without an accent and speak in fluent Japanese, sometimes what you want to say doesn't come off as you intended. In order to have a better delivery, you may try changing the tone of the word you want to emphasize, to higher or lower, or you may change the volume of it, either louder or quieter, or you may even want to whisper. On top of that, a change of tempo might be called for, either slower or faster. You need to get a little creative and make all kinds of efforts. Put yourself in the frame of mind that you want to deliver the story in and think about what you could do to delivery that story to the people in the most effective way, and then talk. That's the way to improve the skill of "delivering what you think". I think it's the same whether it's Japanese, English, German, or French. Q. What do you think is the most important thing to practice or learn if you want to speak "good Japanese"? This doesn't just apply to Japanese but to any foreign language, and the fastest way to improve your skills in another language is, I think, to make friends who speak that language. If you listen to that language with your ears and speak it from your mouth every day, then you'll naturally learn new Japanese phrases, the way to say things and how to deliver what is said. However, even if you become a fluent speaker of Japanese, I'd say that writing is a whole other monster. Unlike the alphabet, there are so many characters in Japanese with the incorporation of Hiragana, Katakana and Kanji. So I believe it would be much more difficult to write a letter in Japanese than it would be to recite what is written in the letter. Q. When the news is delivered, I think it's constructed to be easier for people to understand. How can we make "easy-to-understand" Japanese? This is again not only for Japanese, but information given through speech is "easy-to-understand" if you focus on the base formula of communication – That is "5W1H": Who, When, Where, What, Why, and How. If your message is compact and consists of these elements, it will be "easy-to-understand" in any language. Whenever you talk to your friend (or whoever), be aware of how you are delivering what you're attempting to communicate and afterwards try to recall whether or not you've contained each element of 5W1H. It's a great training method and you'll end up being able to speak "easy-to-understand" Japanese if you focus on this. Q. Do you have any other advice for Japanese learners? The Japanese language might be difficult if you study its grammar. Yet, it is a great language for you to deliver and create sentimental expressions and atmospheres. You may like Japanese more if you not only study the Japanese language, but also Haiku or Tanka poems. In Japanese, it's also common that the words from other countries find their way to Japan and settle in as a part of the Japanese language. Words such as konpeitou 金平糖（こんぺいとう）, which means "confetti" which is Portuguese, or マネージャー (manger), which comes from English, are two of hundreds. Since ancient times, Japan has adopted many elements of foreign cultures and it even shows in its language as well. Japan has accepted many foreign things throughout it's history, with Chinese influence being the most resonant of them, as Japan adopted techniques, social behaviors, Buddhism, ideas, customs, and kanji characters from China. The language is, in part, a demonstration of the country's culture. When you study a language, try getting interested in its history, background, and culture. As you learn more, you may also enjoy learning more.